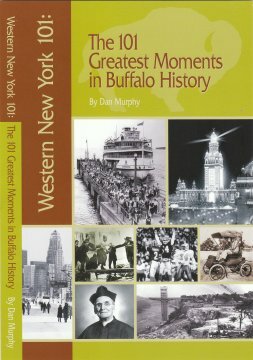 We're proud to announce the launch of a unique book that focuses on some of the greatest moments in Western New York history. Think all there is to Buffalo is Super Bowl losses, chicken wings, and mountains of snow? Think again! Western New York has been a hub of innovation, artistry, progress, and good times for centuries. Author Dan Murphy set out to identify the 101 Greatest Moments in Western New York History, from the formation of the Five Nations Confederacy in 1451 -- one of the first representative democracies in history -- to the Goo Goo Dolls rocking at Niagara Square in 2004. From the Pan-American Exposition and the Super Bowl years, to the opening of the Erie Canal and the daredevils who conquered Niagara Falls, the region has been a home to history. This wide-ranging celebration of all things Buffalo will give you 101 reasons to feel proud to be a Western New Yorker. Discover how a car accident on a rain-slicked street resulted in a safety innovation used worldwide today. Relive the drama and excitement of the classic Bills and Sabres playoffs series. See how the eyes of a nation were transfixed on the shining lights of Buffalo .. . and how a new era in American politics began in a humble parlor on Delaware Avenue.